It’s National Volunteer Week – let’s celebrate the Australian volunteer! There are weeks and months to recognise various charities and causes. Few activities we do are more important than celebrating our volunteers. It’s National Volunteer Week – let’s celebrate the Australian volunteer! Most of us volunteer in one way, shape, or form for a non-profit, community, or professional organisation. Some put in enough hours to equate to a part-time staff position. But, are we always recognised for our service and do we feel valued? Send a thank you eMail to every volunteer. Segment an electronic communications to show real value and appreciation to those giving the most service. Recognise the top tier and the number of hours each has dedicated to your charitable organisation. Add a video naming the volunteer and thanking them for something in particular. Send a thank you card signed by each member of your team. Conduct a volunteer recognition social event. Honour a small set of volunteers who have gone above and beyond this last year. Nominate a volunteer for a community award. Nominating someone will shed light on your non-profit organisation’s volunteer program and will encourage others to excel in their service. Fundraising Institute Australia recognises a volunteer of the year in each state, as well as nationally, each year. Feature a volunteer in each issue of your eNewsletter. We do not need to what until national volunteer week to show gratitude. Remind volunteers each day how valuable their volunteer service is to your organisation. Simply saying thank you each time someone finishes a volunteer shift will make a big difference. And, it’s free! FundraisingForce works with dozens of charitable organisations each year to create a fundraising strategic plan (FSP). What is the most common mistake when creating a fundraising strategic plan? Asking a single person to create the fundraising strategic plan for your organisation. There is not a week that goes by where an organisation does not contact me to ask me to create a fundraising strategic plan for the organisation. What’s wrong with that request? 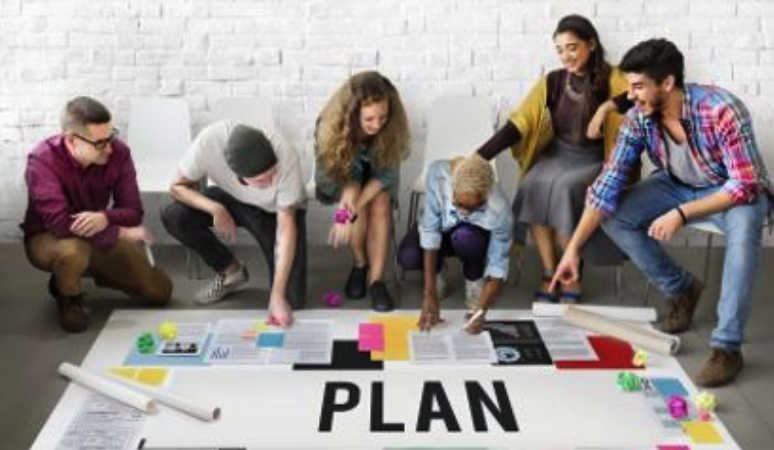 No one person in your non-profit organisation, or external to your organisation, can create a fundraising strategic plan. Fundraising plans are not products you can purchase off the shelf or have magically designed for you. Instead, fundraising plans are carefully crafted plans, which are created through workshops, 1:1 meetings, research, and surveys. These plans are created involving internal and external stakeholders across the organisation and may take 2-3 months to create and finalise. SWOT analysis, including mitigation strategies for weaknesses and also for threats. Need assistance creating a fundraising strategic plan for your non-profit organisation, school, or charity? Contact FundraisingForce or attend the Fundraising Institute Australia Fundraising (FIA) Strategic Plan Masterclass in a capital city near you. Check the FIA Website for more details. Every day people lose things on airplanes and in airports. Having recently left an item at the Sydney airport, I learned the Qantas lost and found is a treasure for one charity. In early April I was going through the security in the Qantas terminal at Sydney domestic airport. The buzzer continued to go off as I removed my belt, shoes, wallet, and other items. You know the drill. Each item removed was placed in a separate bin and scanned. Well…you guessed it. I left an item behind. After sitting in the Qantas lounge for more than 15 minutes, I reached down and felt a lack of a belt. Thinking I had left my belt at home (I also lacked a couple of cups of coffee at this hour of the morning), I went to Oxford – a men’s store in the airport and purchased a new belt. When I returned home from the overnight I trip I realised my double error – the belt was not forgotten at home, but at the security line at the airport and I did not need to purchase a new belt as a result! On my next trip through the security, I asked one of the staff where the lost and found was located. He informed me the Qantas lost and found was downstairs. I decided I would check with them when next in the airport. When I visited the Qantas lost three weeks later, I found it is an amazing organisation. Sorted by month, the lost and found is further sorted by type of item and each item is tagged with the date and other details. When I stated I had lost my belt in early April, the gentleman produced a bin marked men’s belts with more than 50 belts from April 2017. 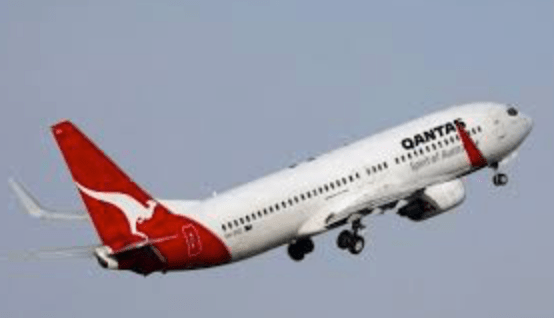 I asked the Qantas staffer what happens with the eyeglasses, laptops, luggage, clothing, and other items carefully inventoried and stored for claiming. Apparently, Qantas provides the items to Mission Australia after it is stored for more than a month. Additionally, I was informed the eyeglasses go to a charity focused on assisting people with eyesight issues overseas. This was music to my ears. I was pleased to learn the items are put to good use once unclaimed after a set length of time. Giving these items to non-profit organisations, rather than disposing of them, makes a lot of sense. Perhaps this is common practice in the airline industry. I do not know. But, kudos to Qantas for their organisation skills and for ensuring lost items are given a new home. The Australian Financial Review Philanthropy 50 was published on 28 April 2017. The feature story tells of the Paul Ramsay Foundation and highlights the top 50 Australian philanthropists of 2016. The Philanthropy 50 list shows the amount given to end recipients, mainly charities, in the 2015/16 financial year, by Australian individuals, families and bequests. The list features gifts given directly and through foundations; however, it does not include donations into foundations, anonymous gifts, or corporate giving. Sources used for the Philanthropy 50 included Australian Charities and Not-for-Profits Commission (ACNC), Fundraising Research & Consulting, Fundraising & Philanthropy Australasia and Pro Bono Australia. The study features an interview with Simon Freeman, CEO, Paul Ramsay Foundation. Freeman tells the story about visiting America’s leading philanthropic foundations, including the Bill and Melina Gates Foundation, the David and Lucile Packard Foundation, and the Silicon Valley Community Foundation. It was the visit to the Packard Foundation which really resonated with the Ramsay Foundation officials. Freeman is quoted in the article as saying “If one day we’re not the biggest foundation in Australia anymore, then that would be a great measure of success”. Freeman and his colleagues will award about $15 million to $20 million this year. With a balance sheet in the billions, one can assume the Ramsay Foundation will be at the top of the list for years to come.